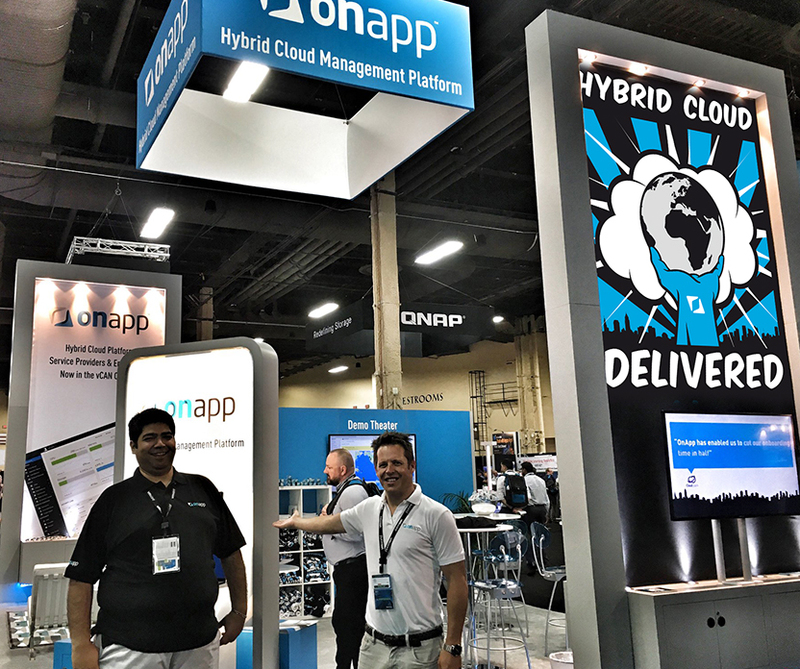 Share the post "OnApp Hybrid Cloud"
Edmundson Design has recently provided the creative campaign and artwork for OnApp at VMworld in Las Vegas. 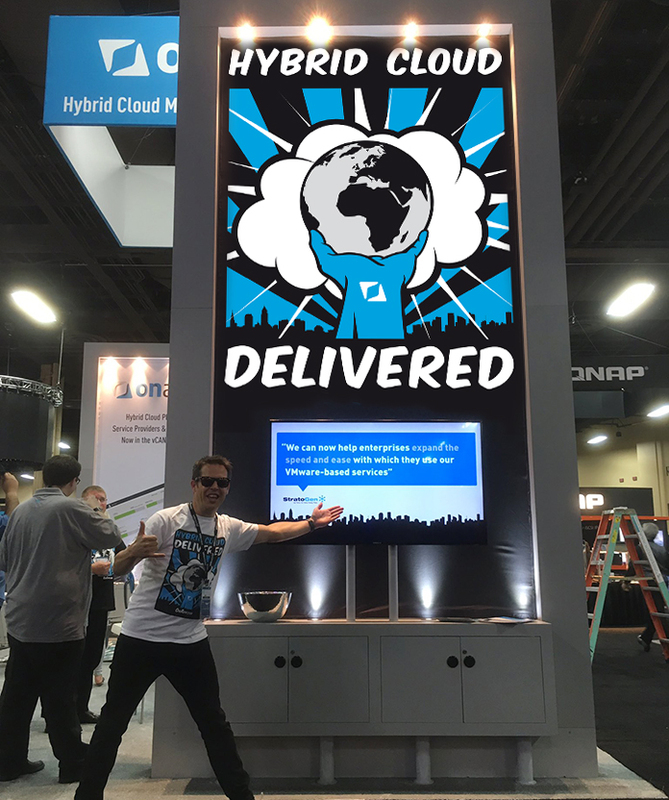 The Hybrid Cloud Campaign follows on from the ‘Cloud Revolutionary‘ theme which proved such a success at WHD Global in Germany last year. 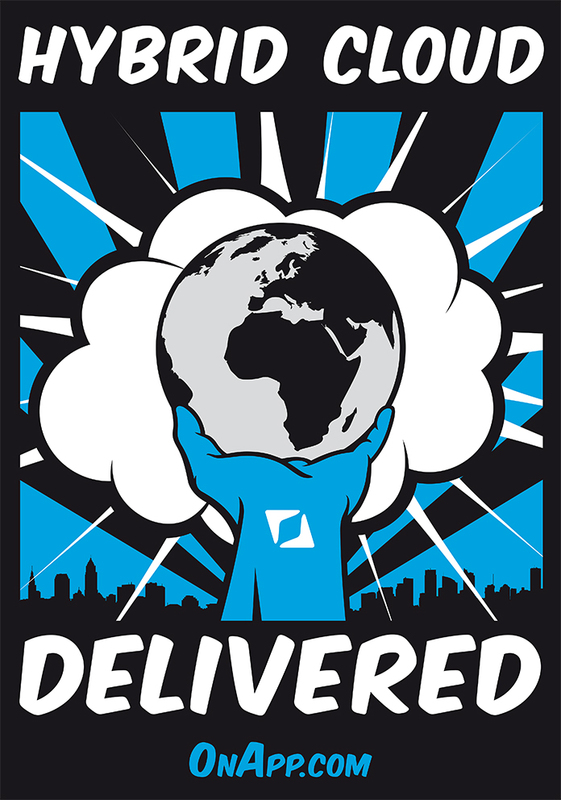 The creative concept for the campaign followed a comic book style using the existing OnApp colour palette. 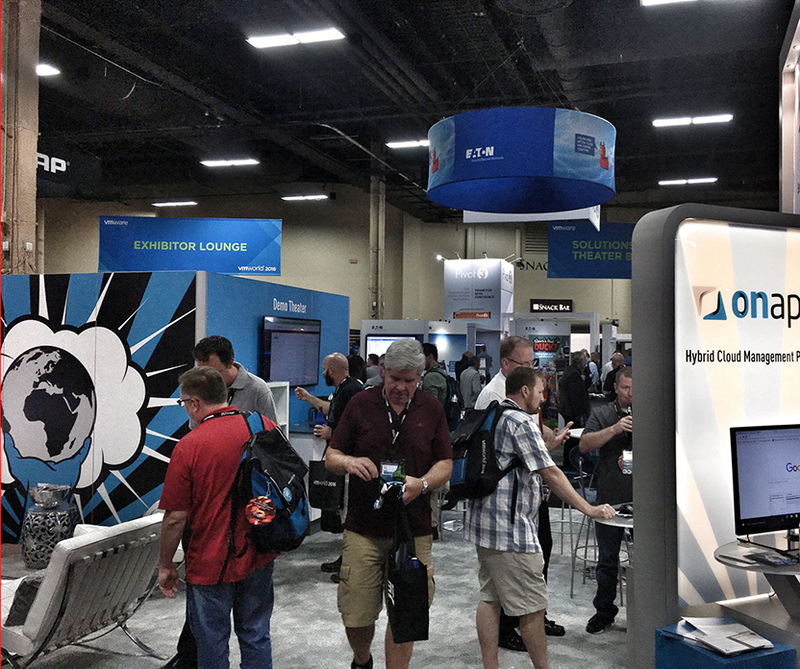 This new campaign required deliverables of a creative concept which was then applied to t-shirts and posters as well as being applied to the OnApp booth at VMworld in the Mandalay Bay Hotel & Convention Centre. VMworld images courtesy of OnApp.